An Amazon Top 100 Bestseller with 50,000 copies sold and over 1,100 "Five Star" reviews. The rumblings of war in distant countries mattered little to Danny McClain. Growing up in Chicago, his world revolved around after-school jobs, a rescued beagle, his pen pal in Holland, and the Cubs' chance to go to the World Series. Then, in December of 1941, during his first year at Northwestern University, news of the attack on Pearl Harbor hit much too close to home. After a series of unexpected events over the next couple of years, Danny found himself in the co-pilot seat of a B-17, stationed with the 390th Bomb Group in Framlingham, England. Anya Versteeg had been just a teenager when Hitler's troops invaded her homeland of Holland in May of 1940. Forced to grow up much too fast, the feisty preacher's daughter eagerly immersed herself in the Dutch Resistance and its many efforts to thwart the enemy. Certain that God had turned His back on Holland, she closed her heart and did whatever she had to do to save her country before it was too late. By 1945, the people of Occupied Holland were starving. 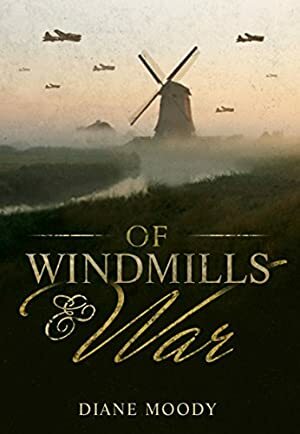 Cut off from the outside world in retaliation for their failed attempt to oust the Germans invaders, the Dutch had no food, no electricity, no fuel, and little hope of surviving. Thousands were dying every day. Then, just days before the war ended, help came to The Netherlands like manna from heaven. Operation Chowhound held special meaning for Lieutenant Danny McClain. Somewhere below in the battered land of tulips and windmills was the girl who needed rescuing--after rescuing so many others. And he would move heaven and earth to find her. "One of the best books I've read." "Scenes so clearly written I could see them." "Action, romance, a page turner. I loved every minute of it, and was sad when it was finished. One of those books you wished never ended.."
"You felt like you were part of the story from the very beginning. The accuracy of events was amazing." We started tracking this book on November 27, 2012. The price of this book has changed 180 times in the past 2,341 days. The current price of this book is $2.99 last checked 11 hours ago. The lowest price to date was FREE last reached on November 17, 2018. This book has been FREE 63 times since we started tracking it. The highest price to date was $8.59 last reached on October 10, 2015. This book has been $8.59 13 times since we started tracking it. We last verified the price of this book about 11 hours ago. At that time, the price was $2.99. This price is subject to change. The price displayed on the Amazon.com website at the time of purchase is the price you will pay for this book. Please confirm the price before making any purchases.